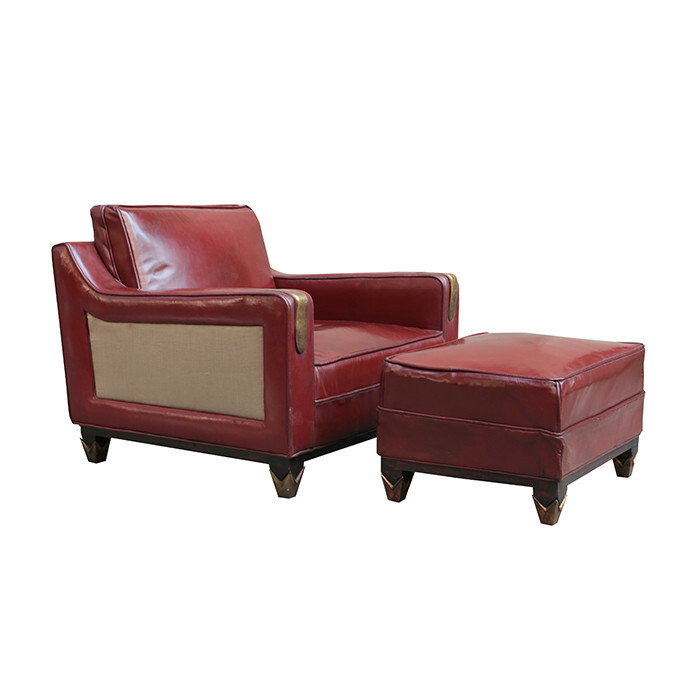 A Mid Century Modern Leather Club Chair with matching ottoman. Attributed to Arturo Pani. Red leather,patinated brass and wood. Dimensions: H:28¼ W:35½ D:32¼ Seat h:15 Inches. Ottoman: H:15 W:24 D:19 Inches.